Gore ejects Fox as Climate Reality Project support wanes | Watts Up With That? Confirmed. Maggie L. Fox is on the out at Gore’s CRP. Here is the “resignation” letter sent to the mailing list. Name of recipient redacted. As a member of the Climate Reality family, I wanted to share with you some recent personal news. I was honored to join The Alliance for Climate Protection’s efforts to fight for comprehensive climate legislation five years ago. And thrilled to then lead the organization through an important transformation to The Climate Reality Project. Faced with the realization that the well-funded and pervasive climate denial industry was winning the broader cultural battle, The Climate Reality Project took up the mantle to dispel doubt and spread the immediate reality of climate change with innovative organizing and communication initiatives designed to transform the cultural conversation. This spring, after an exceptional tenure at the helm of this burgeoning organization, I will be stepping down as President and CEO. Over the past three years, we have operated with a start-up mentality as climate entrepreneurs, calling out deniers, while also connecting the dots for individuals seeking to understand the reality of climate change and its impact on their everyday lives. We have developed global online events including the annual 24 Hours of Reality, released cutting-edge digital tools such as Reality Drop and What I Love and formed new and effective partnerships with communities affected by climate change – from winter sports lovers to mothers to young people with the critical help of tech enthusiasts and the marketing and advertising industry. We have also invested in growing and empowering a powerful group of 6000 global leaders in over 100 countries acting as change agents and members of The Climate Reality Leadership Corps. This has been one of the most energizing and exciting portions of my career. I am inspired every day by the talent, diligence and passion our staff brings to this important work. And, I also feel it is the right time in the organization’s growth for me to help Chairman Gore and the Board find a new leader to take the cultural conversation to the next level. I’d like to thank Chairman Gore for his incredible, visionary leadership on climate change and the Climate Reality staff and Board as well as our supporters for all that they do every day to make a difference. I am looking forward to carrying all I have learned from this fascinating journey onto creating a sustainable world that keeps faith with our children, grandchildren and all future generations. It has been an honor and a pleasure to work alongside you. In March, I will be in Johannesburg to train another class of Climate Reality Leaders to join the Climate Reality family. I look forward to following their great work and continuing to see the impact that all of you will have towards destroying denial worldwide and finding solutions to the climate crisis. January 7, 2014 in Al Gore. ← Is England’s Bad Weather A Sign Of Climate Change? Maybe she is going to join the real reality project. Chairman Gore made me immediately think of Chairman Mao. Crosspatch, you have to be able to recognize reality to join it. She gave no indication of recognizing the boot on her posterior. It must be infuriating that not only do sceptics receive negligible funding, but green funding for projects like the $1.5m Spirit Of Mawson comedy only serve to fuel the sceptical argument. Are green dollars the sceptics biggest, albeit indirect, source of accidental funding? I, too, immediately thought of Chairman Mao as did Alan Robertson (9:26 am). I thought these guys had all engaged top notch image, PR and communications consultants to wage the war against the mighty(?) denial machine. They must select them from the lefty side of the spectrum. Heh, time to step down indeed. “Faced with the realization that the well-funded and pervasive climate denial industry”. I would love to know where this industry is? 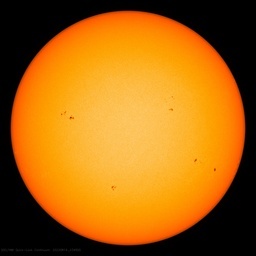 The fact is that other than on this blog, and a few other blogs, I hear vurtualy no “climate denial”. The MSM is firmly on the CAGW side. If there was all these funds to be had, why are people like Anthony not very wealthy (like the CAGW crowd). What a pleasant bunch of folks. “Chairman Gore ” , love it. As soon as someone describes their views as “reality” or calls themself a “realist” (ie I must be right) , smell a small putrid rat. Thanks for your service comrade, now please step in front of the bus. I never use the word “great” anymore except in sarcasm because it is so universally used by politicians with their limited vocabulary …. likely not true but why do they overuse that word? I suspect the “Chairman Gore ” bit is a knife in the back after a less than voluntary “resignation”. If you can’t take the cold, get out of the freezer…. Not a word about bringing forth facts and science. Cultural conversation? Is this a travel agency or a yogurt club? A Russian-built ship stranded in the Antarctic ice has started moving away from the ice fields after a change of wind cleared its path. A Chinese icebreaker, which was caught herself on the way to rescue the vessel, has already reached clear waters. It is unclear exactly why many climate change organizations are installing new executives, but it appears they are following the professional sports paradigm: When a team loses more than it wins, you can’t fire all the players, but you can fire the coach. Yeah, it all depends on whose Fox is Gored. Memo to Maggie: I’m Spartacus and I’m not well funded. Also, you can swap out denier with science to help see the fallacy of this anti-science diatribe. Science might survive in the long run, but I’M not so sure about the middle class that ultimately funds the overlapping layers of carbon policy fraud, like direct and indirect carbon tax, transfers of wealth schemes, and fraud-based budget items from already chronic deficit spending regimes. The hypothesis of Man-Made Global Warming is dying. We just have to keep throwing water on the flame and wait for another Winter of Storms. As the Russians learned as well as Napoleon and Hitler, General Winter always wins. … “Change Agents” or “Facilitators” appear to be acting as organizers, “allowing” each person in the group to express their concerns about some program or policy under consideration. While this process is going on, people are urged to make lists or form into task forces. The Facilitator carefully notes which members of the group are leaders, which are “loud mouths” and which may be easily swayed to different viewpoints. At a certain point, the previously friendly Change Agent begins to act as “devil’s advocate,” becoming an agitator. The process involves playing one part of the group against another, the “divide and conquer” technique.…. The “targets” of such manipulation rarely, if ever, realize how they are being manipulated. If they do suspect, they generally have no idea how to defeat the process. This method is being used at all levels of government to force meetings toward PRESET conclusions. There are three steps to defeating this process…. Thank goodness more and more people are figuring it out. Farmers/livestock owners, many of whom are considered to be solidly in the left’s pocket figured it out in 2009 Prepare to be Delphi’d! So have other groups. Building Consensus AKA You’ve Been “Delphi’d” ! …School, city or county public meetings are led by so-called “facilitators” who have been trained to turn the public to a pre-determined outcome and marginalize the final few they haven’t ‘rolled’ to their position. This present window of opportunity, during which a truly peaceful and interdependent world order might be built, will not be open for too long – We are on the verge of a global transformation. All we need is the right major crisis and the nations will accept the New World Order. Looks like that “window of opportunity” is closing in as fast as the ice did on the Ship of Fools. This does not mean they are by any means defeated, it just means the soft pedal approach, getting us to “buy in” to our own enslavement has not worked. I am not looking forward to the next installment. Built in Finland in 1982, making it …. Finnish built maybe? Scientific or evangelical? You decide. What a crazy and vague notion, “climate change” and that somehow CO2 can cause climate to change in a bad way without an intermediate warming step. And then the warmists always blame those sinister “deniers” with making their noble efforts unravel. The language and terms they use are chilling, and so is the cold weather here in the USA. I could not read it all I was getting ready to jump up and yell yes YES lead me to the LIGHT!!!!. Hhmm – let’s see – here in the climate denial industry it cost a lot to bring down that Polar Vortex from the North Pole. But those of us in the oil sands, or climate denial industry, sorta thought it was time y’all south of the border had an intimate understanding of regular Alberta weather. You’re welcome! Don’t mess with Canada. We have the pole and are prepared to use it – Lol! In consideration of her need to obtain future employment, and her vow to continue to fight the climate crisis, I think it would be a most gracious gesture on your part to allow her to promote her skills and pursue her objectives by appearing on the number 1 science site in the world as a guest author. What better way could she have to both invigorate her career and educate thousands upon thousands of skeptics at the same time? Hi sweetheart, on the trip to Jo’burg, don’t forget your tinfoil hat. albertalad: considering the controversy about the pole this year, that was a great comment. This spring, after an exceptional tenure at the helm of this burgeoning organization, I will be stepping down as President and CEO. This sentence should be written by the Chairman (no, not Mao) and not in first person singular. She is really saying “boy was I great, and now I’m leaving”. She forgot to add that with no global warming for 17 years; record ice at the poles, the polar bear scam having been sussed, and with record cold in the US northern states, the bogus fears put out by The Climate Reality Leadership Corps which has made us so much wonderful money over recent years is now no longer sustainable. Doesn’t scare me at all. Not at all. Really. The rats are deserting the sinking ship. It is only the start but do not let those who depart forget the damage they have inflicted on our economies and lifstyles. Faced with the realization that the well-funded and pervasive climate denial industry was winning the broader cultural battle…. They just won’t give up on that “well funded” nonsense, will they? Normally if you repeat a lie often and long enough it becomes the truth but this may be an exception. climaterealityproject.org (henceforth “CRP”) since mid-2013 gets a huge percentage bump in visits via search engines (from basically zero up to 35%). Wattsupwiththat.com (henceforth “WUWT”) by contrast bumps along at around 5% with peaks to around 10%. I conclude from this that WUWT is much more a “destination” site than CRP — most people end up at WUWT because they start out to go there, rather than casually follow a link off Google. 68.2% of CRP’s visitors are from the United States, compared with 40.9% for WUWT — WUWT has more worldwide appeal and reach than CRP. This is interesting in light of the claim that CO2-induced warming is a global problem about which there is a 97% consensus among scientists all over the world. You’d think a site created with the personal imprimatur of the world’s best-known proponent of global warming theory would attract a little more attention outside the US. CRP has both fewer daily page views per visitor (2.0) and less daily time on site (2:32) than WUWT (3.18 and 9:43 respectively). Also both figures for CRP are down considerably (23.7% and 17%) from the previous 3 months; WUWT page views are down slightly but time on site is up a bit (4.8% and 4%). There was too much missing data in the visitor demographics section to make any meaningful comparisons, plus “medium” was the best confidence claimed for any demographic stat. 1013 other sites linked to CRP vs. 5,196 sites linking to WUWT. C’mon guys, you must spot the irony from her? Not only the Chairman Mao, sorry Gore, part but much of the rest (loosing the Cultural Battle against the well funded denial machine, I switched back and forth between WUWTV and 24 Hours of Reality and you would have to be blind not to see who was well funded) certainly must be read as a low and well-aimed kick at the guy who oversold, cashed in and then refuse to fund what he reperatedly said was really, really, really, very , very, very important. All the way up there with life and death. Short of telling the stary eyed volonteers we were all fooled (which would cost her the severance bonus) this is about as clear as it can get. She is probably still a AGW- worrier if no longer a warior. These whack jobs dont do ‘self awareness’ do they? “cultural conversation” Where do they get these people from? The very last thing these babble merchants want is a genuine conversation unless it is a one way indoctrination and goes 100% their way, these people would fit very nicely into the Maoist cultural revolution. The same fanaticism and pseudo intellectualism poorly covered by 1984 newspeak. One of the good things to come out of the collapse on the man made global warming fraud is people like her are becoming an object of derision. The need to fire Mother Nature. She’s not a team player. She refused to sign off on the mission statement to support the growth objectives of upper management. 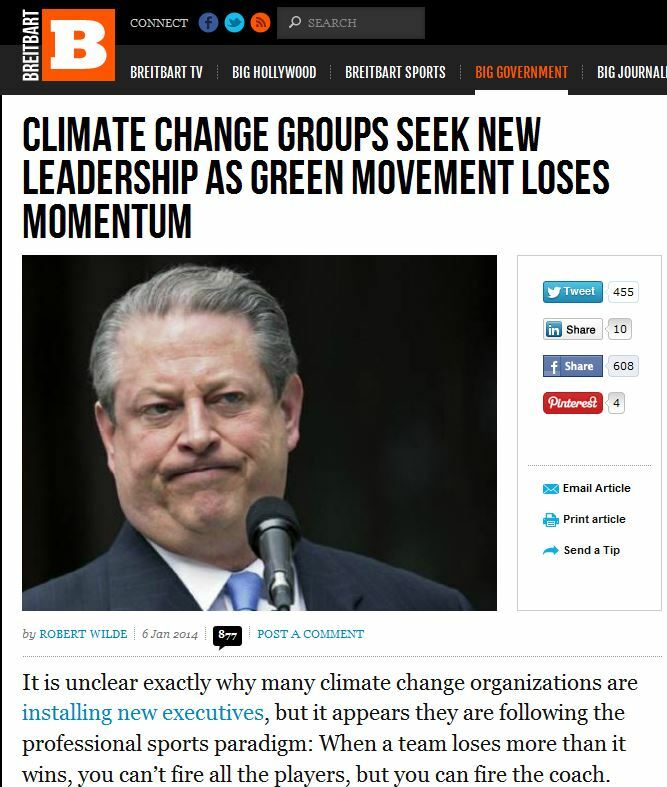 You know they’re in trouble when they re-name their meme to “Climate Change”, the status quo, and STILL can’t gain any traction. People aren’t stupid, Mr. Gore. At least, the “Deniers” aren’t! Finland is part of Russia. It just refuses to recognize it. The Russians tried to explain it during the Winter War but the Fins refused to listen. In March, I will be in Johannesburg to train another class of Climate Reality Leaders to join the Climate Reality family for re-indoctrination. Unfortunately, every one of them acquired the Gore Effect when shaking the hand of Beloved Leader; leading to the current expansion in sea ice and lethal cold in USA and Asia. “In March, I will be in Johannesburg to train another class of Climate Reality Leaders to join the Climate Reality family for re-indoctrination. South Africans should stock up on winter coats. This will be bad. “… well-funded and pervasive climate denial industry…”. No, No, No, DirkH, you missed the point, she’s going to Johannesburg for HER re-indoctrination! I’m sure the Chairman will be incognito! its a terrible, poorly designed and confusing web site isn’t it? The ‘northern’ states had a similar issue with the ‘southern’ states in a conflict running from 1861 to 1865 over here … the southerners were finally persuaded to re-enter ‘the union’ after a protracted series of armed conflicts, including naval battles. Chairman Gore – and his little red book!! We have also invested in growing and empowering a powerful group of 6000 global leaders in over 100 countries acting as change agents and members of The Climate Reality Leadership Corps. Especially when you realise that they are hiding in the shadows. No-one has ever seen them. Hmm, maybe they are just completely ineffectual. She should have quit two and a half years ago while she was ahead, well maybe slightly ahead. What they deliberately ignore is that for 2 decades they have had unambigous support from media. Not only unambigous but enthusiastic and uncritical support, yet they have lost the battle because temperatures did not rise. In fact, I believe that it has been reported that the world loses more heat to space than the models allowed in their estimations. The models failed, Climategate exposed and the Hockey Stick was shown to be Mke’s clever trick, added to the plateauing of temperature. Because they cannot admit they are wrong in case they have to hand back their grants, they have invented the sceptical funding story. LOL. After shrilly claiming sceptics were lunatics, should not be heard and future genocidal maniacs, they bridle at being termed warmists. Being in denial is a legimate term, so when the cap fits, warmists should wear it. Another true believer fades away into the sunset … since he’s doing as well with climate change as he was in Divinity School, perhaps Al Gore is the one who should be resigning. Chairman Gore … and his little green book? Thank you for saving our climate. I think she is saying that their “well-funded and pervasive climate denial industry” is losing the broader cultural battle. I think ‘rabid’ and ‘brainwashed’ might be the adjectives to best describe this person’s attitude. How can anyone believe that we have a climate crisis? Global temperature data are easily accessed by anyone, as are CO2 levels and other pertinent data. Still, that would require a certain amount of critical thinking and involve some effort wouldn’t it? Better to trust ‘the science’, it’s so much easier. . . .The Climate Reality Project took up the mantle to dispel doubt and spread the immediate reality of climate change with innovative organizing and communication initiatives designed to transform the cultural conversation. . .
Fortunately, they are up against the noble traditions of independent scientific inquiry, the Jeffersonian principle of individual liberty, and the Madisonian structure of the US Federal Constitution that works to prevent ideologues and factions from riding roughshod over the rest of us. current WUWT site traffic info to compare to CRAP…er CRP. Leaving aside the “well funded” aspect, the lady has at least managed to connect with reality on one occasion in her resignation letter. The United Nations Environment Programme is to undertake an “Inquiry into the Design of a Sustainable Financial System: Policy Innovations for a Green Economy”, with its core objective being to identify and develop financial market policy and regulatory options, based on global best practice, which would deliver a step change in their effectiveness in channelling capital to green investments. A small team is being assembled to support the set-up phase with two Co-Directors, together with a Head of Communications, which will make up the Inquiry`s leadership team. A Programme Officer is required to provide Programme support to the leadership team. I wonder how ‘pro-snow’ they are now? ‘pervasive climate denial industry’ . How would I have translated this when I got my first English lessons in the fifties? same people who said smoking was not harmful. They never mentioned the “fact” al gore owned a tobacco farm. “destroying denial worldwide” could be lifted right out of Orwell’s “1984” in other language use. We are living in a stark time. It was one thing when these people lived in the fringes, 1890-1972 in the case of the U.S., now they have access to the highest offices of power and fill many seats. Consider Al Gore won the popular vote in 2000, frightful. Remember the difference between the hedgehog and the fox? Well, this Fox knew One Big Thing— except it was One Wrong Big Thing. May she dine on sour grapes for a long, long time. @ Gail, 9:56 am, I watched this happen in our community, as a matter of fact a few months into the “sustainable” movement , group leaders began having meetings and the facilitators present with just them present. It became quickly apparent the disdain the ( out of town btw) facilitators had for the average “joe” that WERE NOT at those “leaders” only meetings. I resigned in protes rather fast after a few of those. One visible thing that eventually came out of the whole project was a VERY visible, “community” organized walking and hiking trail system (half of it was already there but with every foot added there was another news clip) leaving the whole place basking in glory while in the meantime the bureaucracy in this small bedroom community multiplied four fold, the regulations and rules did the same thing and now of course for every bureaucrat they have to hire secretaries, built a bigger city hall, a fleet of trucks and cars lavish salaries and golden handshakes etc etc. We are trying to stop this insanity, you get the picture but most people are too busy putting food on the table .Open city hall meetings rarely have more than 5-6 people in attendance!. That reads more like a donor request letter, which is what most of the organization is about—self survival. Time to bring back Keith Olbermann? ANNOUNCEMENT: The gravy train has left the station. We are the one true and good tribe even though we, as a tribe, need to devolve into a much different kind tribe. It is needed because we have not been able, for quite a while, to get anybody outside the original tribal members to believe our self-created tribal stories. Stories that must be believed by many more people in order to save the world. So I am leaving you to devolve into an even lower tribal believability level on your own. Remember, the failure to get outside acceptance of our one true tribe’s made-up stories is due to entirely a powerful global conspiracy against us led by those evil people who, not being part of our one true tribe, are out to get us. So we must destroy them. “destroying denial worldwide” could be lifted right out of Orwell’s “1984″ in other language use. We are living in a stark time…. Worse kids are not taught about Germany and WWII. They have zero idea who the Germany’s leader was not even his name or the parallels with today. So yes very scary. ….I watched this happen in our community…. They are starting the crap here in my town. You are correct. Those who have to earn a living do not have a chance against the “Professional out of town Change Agent” especially when caught un aware. If you replace the word Berlin Wall, in his narrative, with CAGW Activism, Green Activists, or your choice of words, then the narrative makes sense. I could not watch more than the first minute or so, as I get that “agita” (an Italian word for stirring often used to indicate upset stomach. How ironic that most of us unfunded truth seekers will probably agree! Sorry about the repost, I want to follow this post. I look forward to following their great work and continuing to see the impact that all of you will have towards destroying denial worldwide and finding solutions to the climate crisis. Chairman Gore and the cultural conversation? 120 starving polar bears and a big cage can’t be far behind. I’d reckon it was the idea of the “alliance with winter sports lovers” wot done her in. The idea that the mission is about “destroying denial worldwide” is somewhat disturbing. I predict that that letter will become textbook material in future for examining the pathological mindset of the Mean Green. It drips with hate, condescension, elitism, narcissism, projection, denial, arrogance, immaturity and cognitive dissonance. Gail: Well said. I feel it’s been happening over the past 4 to 5 years, starting with the leader of the free world with his divide and conquer community-organizing drivel that breeds envy and then hatred. Every so often I realize the weight of our current situation, and it’s a downer. Then I think, are times really that bad? What time in history was better? I’d rather be alive now in this world than at any time in the past. But then again, that reality of this current situation the 1st world find itself in – not good. I wonder how she will feel when she realises that they were losing the war against a totally unfunded opposition whose only ammunition was the truth. Gail I hope it is not too late, if you at all can I( can tell you from experience it will be too late very soon fight back the best you can), print of my stories let friends read it. You need to some how to stand up . I think more than ever people today are starting to realize what is going on . Do not let them get away. First of all if they are bringing in”consultants” question that one right away. There are enough people in your town to “consult” and most of them will do it for free. Document the proceedings as best as you can. Try to make sure your council is questioned and if you can do it on a one on one basis . These so called “consultants” are the fore runners, the leading edge, for the progressives believe me, they make you feel warm and fuzzy all over and then wham. because I am not in the USA so I cannot do the tea party thing here but if you can, ask them for their support! couple of years ago and just hasn’t been missed. Climate denial organisations are increasingly using pass-through organisations to conceal their donors, likely explaining a decline in contributions from the likes of Koch Industries and ExxonMobil. Is there no end to the irony? Interesting that the first green ideas percolated up from the Volkist groups of the late 19th and early 20th century Germany.. These groups were right wing and had a primitive creation myth for the aryan master race idea. These ideas influenced Wagner and his devoted disciple Hitler and many others. The SS articulated even futher these environmental ideas and this led to the founding of the original by two former SS members, Prince Bernhardt of the Netherlands and his cousin, honorary SS man, Prince Philip, who grew up speaking German. From the WWF to the world, the green meme has spread. People don’t remember the Nazis also used green as their color. So adding streams from both the extreme right and left one gets the Warmist movement intended by the PtB to manipulate the masses for their own good! Hah! You are using the post facto redefinition of right wing as promulgated first by Joe Stalin, ca. 1941. The right wing at that time was the church and the aristocracy, nothing else. It was only Stalin who defined Hitler as right wing, after he got attacked by Hitler; a simple propaganda move. Goebbels said “We are the left wing of Germany”; Hitler called his regime in a speech 1937 a “socialist” regime. The arcane pre-eco groups you talk about defined themselves within the esoteric movement as founded by Helena Blavatsky; and mostly as apolitical. The question in my mind is whether Gore is ejecting Fox or is Fox fleeing Gore’s sinking ship?